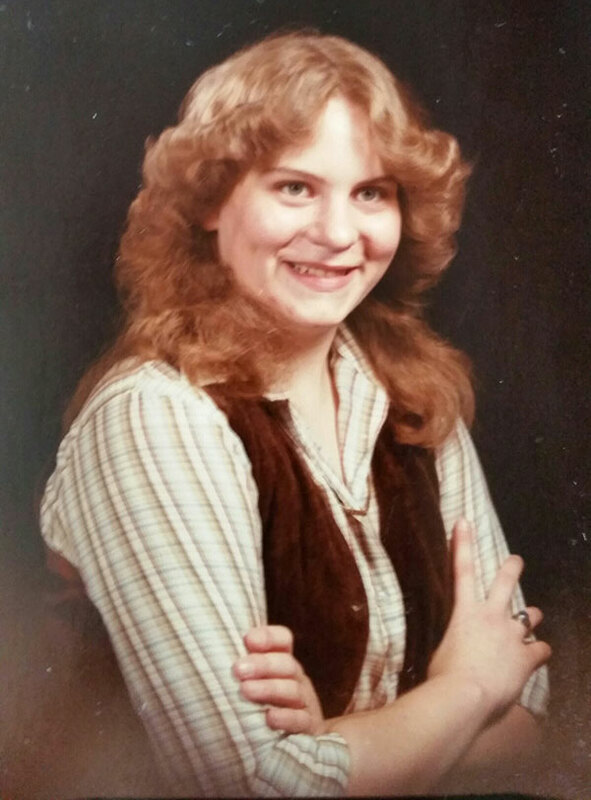 Tag Archive | "Julie Balcom"
Julie Ann (Williams) Balcom (50) passed away on June 12, 2016 from heart failure. She was born September 23, 1965 at Navy Hosp. Paris Island, South Carolina. Preceding her in death was her father Staff Sgt. Roscoe J. Williams USMC, cousin Jonathan C. Landrum, and uncle Calvin Landrum. Julie is survived by husband L. Charles Balcom; daughter Mary Ann (Eric) Martinez; mother Janet Roemer; sisters Mary (James) Prentice, Minette Merritt, Amy (Michael) Mulcreevy; nephews Roscoe Merritt, Liam Dykhouse, Clyde Dykhouse, and niece Cliona Mulcreevy. Julie was forever happy and helpful, sometimes teasing her sisters, drawing or playing with her horse (Jack) as a teen. She rode Jack in many parades where she could make him rear and whistle, which made other horses nervous. Julie always loved a joke and provoking laughter. For an art class project Julie and others were each assigned a 6 foot long wall section to create a mural in the elementary school. Julie chose a Smurf Village with homes, businesses, and people doing all sorts of activities. In 10th grade she was a Brownie Scout Leader. In her senior year she had a one person art show at a local college and was accepted at Julliard School of the Arts. In order to be closer to home Julie attended Ferris University majoring in commercial art for one year. She then worked at several manufacturing jobs. As early onset arthritis advanced she moved to California for better weather. For several years she worked at Woods & Waters Campground as a maintenance person where she enjoyed her talent for fixing things. Julie injured her back and began working as security guard and care person for the elderly. Julie enjoyed this job the most, saying, it was the best job she’d ever had. Julie will be greatly missed by her family and dear friends. A celebration of life was held in the church where Julie loved to sing, with Pastor Mike Murphy and friends at the Aguanga Christian Fellowship Church on June 25, 2016. A grave side memorial will be held at the family plot, on Aug. 13th at 2 p.m., led by Pastor Jim Barnhart, from Wesley Chapel, Midland, Michigan. Julie will rest with her grandparents, uncle, and cousin in Middlebranch Township Cemetery, 7 miles West of U.S.10 on East 14 Mile Rd., off of M-66.